ELLLLLAAAAA!!! (said a la A Street Car Named Desire.) That's what I feel like screaming every time I do research on my paternal great grandmother Ella Kerr/Smith/Hayes/Dixon or whatever other name she might have been going by at a particular time. It seems to me that my Ella did her darnedest to not be found in a record prior to 1920. She was born I believe in or around 1882 in Sampson County, NC, so no there's no 1880 census entry to refer to. I knew by 1911 she was living in Wilmington, NC because that is where my grandmother Ethel Smith Murrell was born. Where was she prior to 1911? Why and how did she come to the decision to move to Wilmington? On part two of this series, I mentioned that I believed I had found Ella's parents, Tina Murphy Kerr and Henry Kerr, residing in Franklin Township in Sampson County in 1880. I checked the 1900 census for Franklin Township and still no Ella. This is when I referred to a map of Sampson County. Franklin township is in the southern most part of Sampson county. This got me thinking well if she didn't stay in Sampson county, where did she go? Since she eventually ventured further south to Wilmington, I thought I should check the adjoining counties in the south. 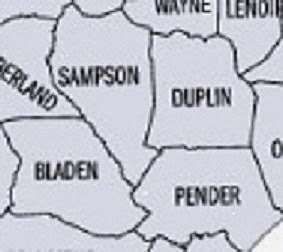 Bladen county is in the southwest and Pender in the southeast. I found an entry in the 1900 Federal census that looks promising as being my Ella. Source Information: Ancestry.com. 1900 United States Federal Census [database on-line]. Provo, UT, USA: Ancestry.com Operations Inc, 2004.Original data: United States of America, Bureau of the Census. Twelfth Census of the United States, 1900. Washington, D.C.: National Archives and Records Administration, 1900. T623, 1854 rolls. This entry was for a household in Colly township in Bladen county. 2) Celia was married to a man named Rage Robinson. Great name, right? Anyway, Rage was born in Bladen County and apparently died by the time the 1900 census came around because Celia was listed as a widow then. The family connection to Ellen Kerr may be through the Robinson surname. So far I've come across quite a few Robinsons in Sampson county but I haven't been able to identify a connection yet. 3) This is when it gets interesting. In 1910, guess where Celia Robinson and her family were living? Wilmington, NC. Hmm. I am thinking that this may be how Ella made her way to Wilmington. She went with the family she had been living with. This makes sense, you go where your resources are. The folks she had lived with were moving, so she moved. Plus, the city would have provided her with better opportunities for work and possibly education. But of course Ellen was not living with the Robinsons. Oh if it were so easy. Oh well, I should know better by now. 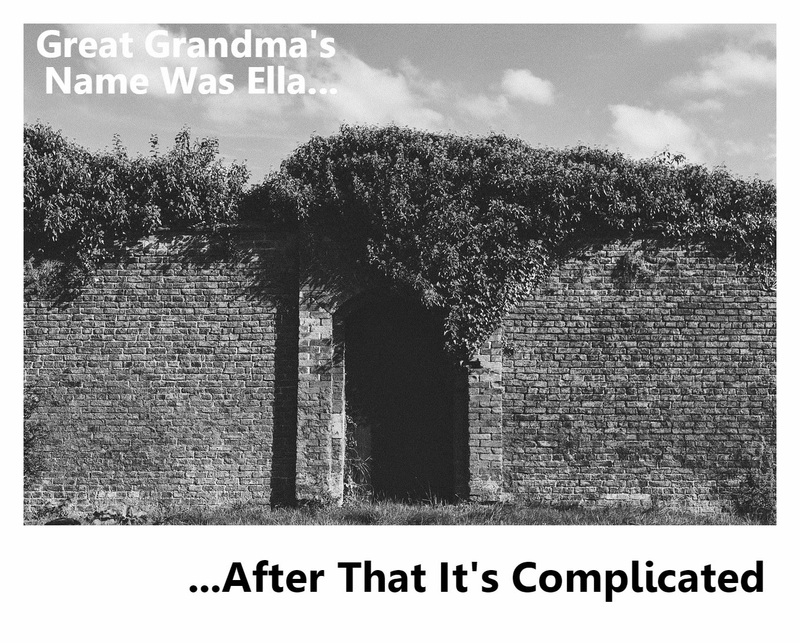 With my Ella, it's always complicated. Seems like you're on the trail to me! Very good detective work!